At St Joseph's all pupils from Years 3-6 are taught a modern foreign language in line with the new primary curriculum. Studying an MFL aims to foster a pupil's curiosity and deepens their understanding of the world. It helps them appreciate the many languages spoken by the pupils at St Joseph's and helps to celebrate the different cultures and diversities that make up our school family. It also provides a solid foundation for learning further languages in the future. Our aim is to give children an enjoyment of language learning and the confidence to develop new skills. 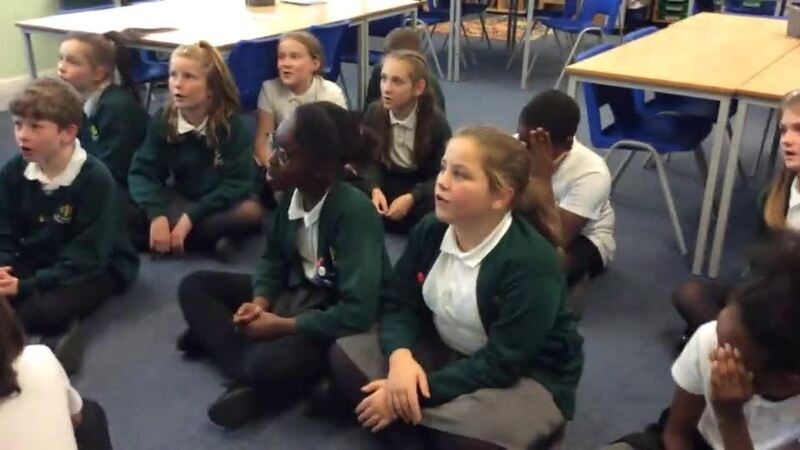 Over the last few years, French has been to all KS2 pupils for up to one hour per week. In the academic year 2018-2019, we plan to enhance our language provision and offer our pupils the opportunity to experience learning about the language and cultures of two other countries. Years 5 and 6 will be learning German and Years 3 and 4 will be learning Spanish. This week, Years 3 and 4 have been learning the days of the week in Spanish. 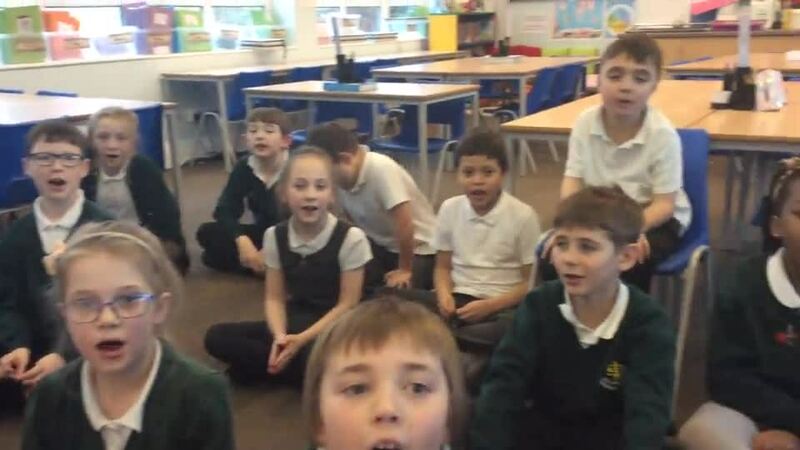 Year 4 asked to demonstrate their knowledge in the video below. We learnt that in Spanish the days of the week are not capitalised like in English, we also noticed that each day of the week in Spanish has the same starting letter as the days of the week in French! Ware going to be learning some key questions around the days of the week over the next 2 lessons. We'll keep you posted! Year 6 German comic strip conversations. Class German display. Learning about colours. At St Joseph's, French has been taught in a creative way using a range of materials and approaches including games, role-play, and conversations as well as books and ICT (particularly "Purple Mash") to enhance learning for our pupils. There are many websites which will help the children to consolidate and practise their language skills. Please encourage your child to use them. Year 6 pupils using French dictionaries to support their learning and develop their French vocabulary. Year 6 small group guided reading sessions in French, teaching pupils about correct pronunciation, French grammar and assessing individual's understanding. Year 4 are very proud of their French books and what they have learnt this year. 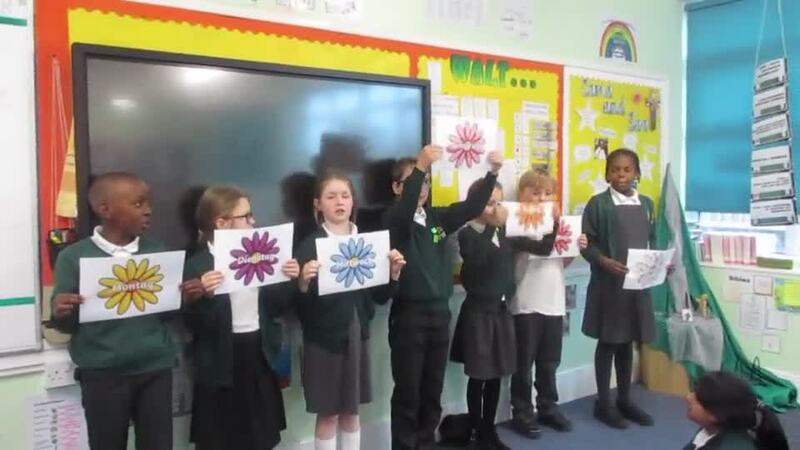 Year 3 showcasing their understanding and use of the French language in our KS2 French celebration assembly.